When the Pierce family receive news that Janine, one of the siblings, has been kidnapped by the Cartel they all rally together to save her. Each one has their own issues that they have to contend with during their valiant, if not entirely legal, attempt to be heroes. Thrown together on a yacht the atmosphere is somewhat testing as the family learn some not so nice things about each other and start to wonder if the kidnapping is for real. It’s not easy to categorize a book like this, on some levels it’s a comedy but it has so many dramatic elements with a combination of adventure, intrigue, romance and crime that I think people will either love it or hate it. This family is the epitome of dysfunctional with easy to relate to, varied members and an emotional slant that make the reader feel for them. 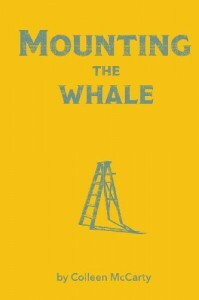 Mounting the whale is a well written interesting novel with a unique plot and I recommend it to readers looking for something original to read.